Fino Panama hats have a tighter weave than the sub-fino hats, which in turn takes the craftsman more time to hand-weave each hat. Standard Brim Size: Perfect for most, provides good sun protection and a great balance of style. 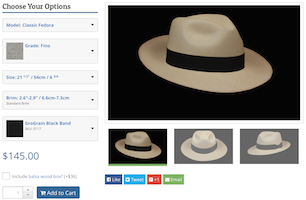 Send us your question about this Montecristi Fino Havana hat, and we will respond to you as soon as possible. What day of the week will it be tomorrow?